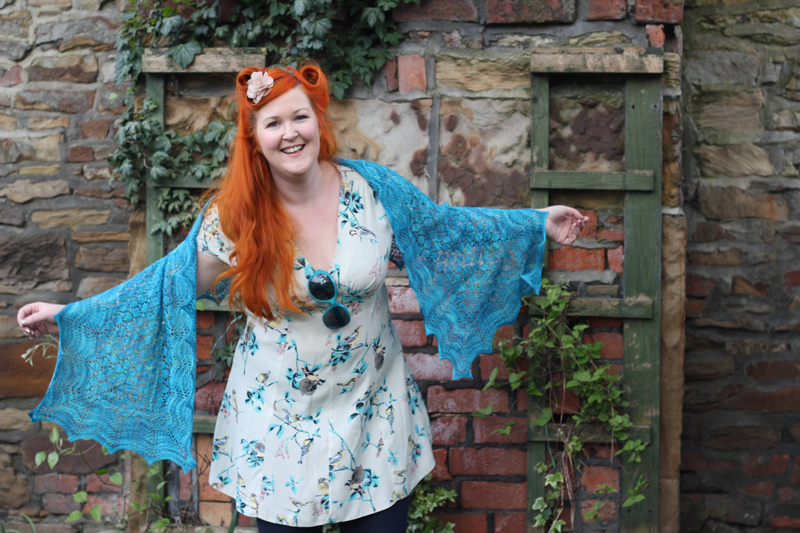 Summer Seas is a stunning rectangular stole designed to form a light cover for your shoulders. The 8-page pattern includes both full written instructions and charts, so will suit you whether or not you like working from charts. 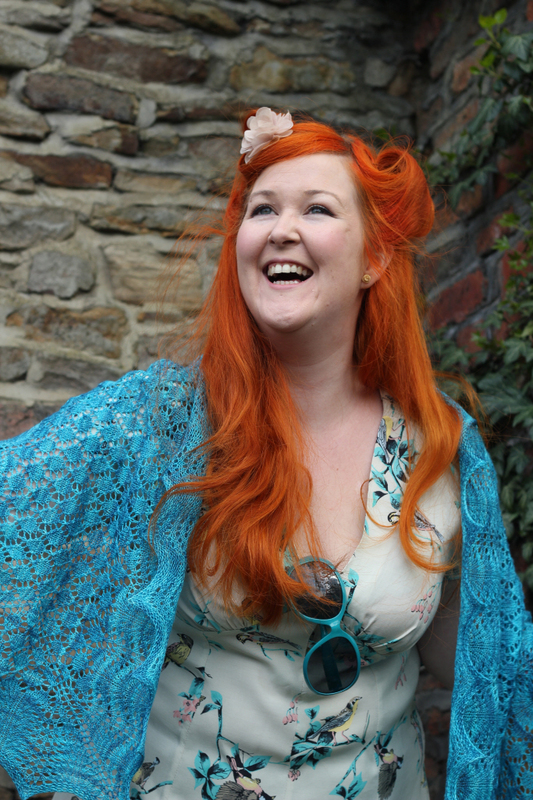 The stole features ‘diamond lace’ and ‘feather and fan’ patterns. To make it you will need 754 metres/825 yards of a 2ply/laceweight yarn. 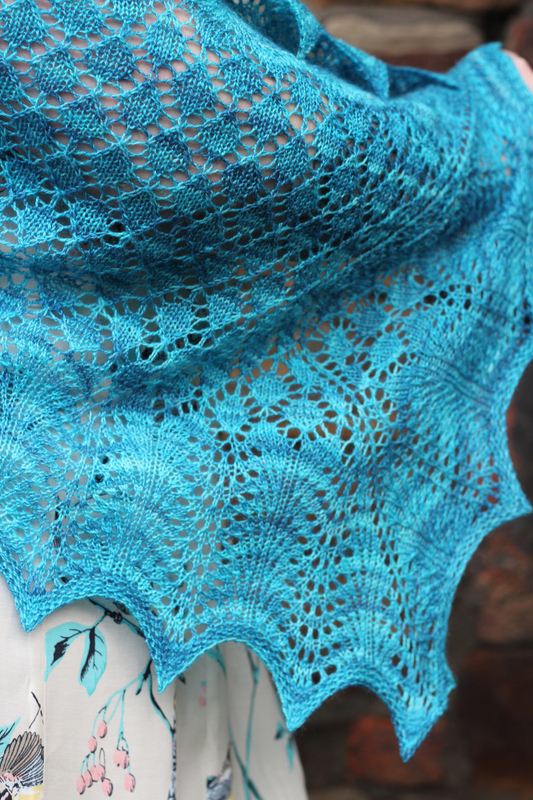 The pictured sample was made in ‘Raft of Otters’, a hand-dyed silk and merino blend yarn from Alisha Goes Around. The stole is knitted from the centre outwards, commencing with Judy’s Magic Cast-On then continuing in rounds with increases at the corners. 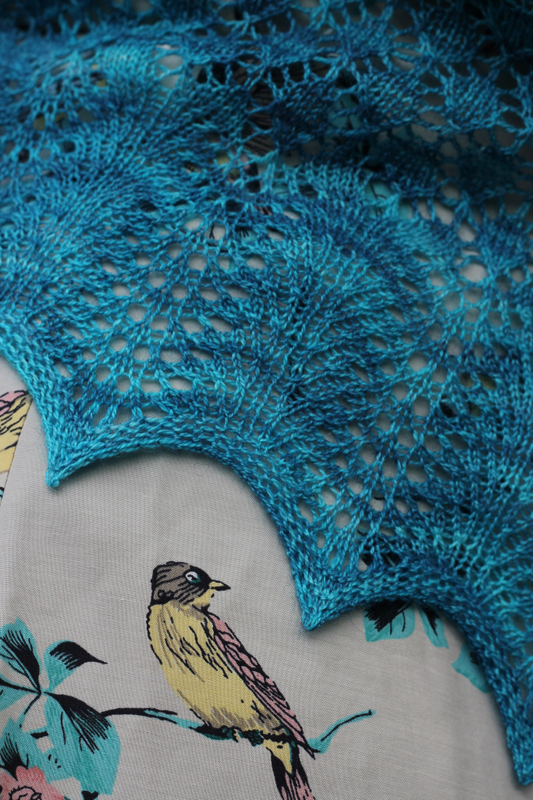 Your blocked gauge/tension should be 24 stitches and 38 rounds per 10cm/4″ in lace pattern. Suggested needle size is 3mm/US 2½. Due to the construction method you will need three long (minimum 100cm/36″) circular needles. 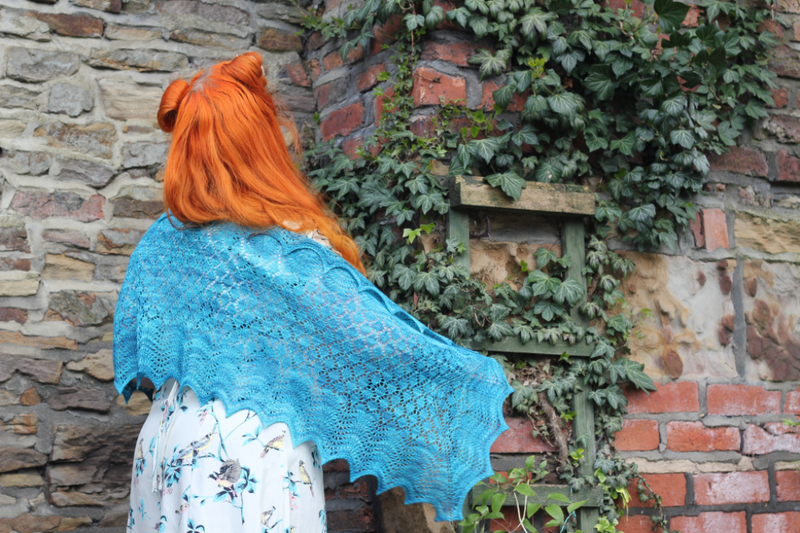 The Summer Seas pattern is also available in ‘A Time To Knit’ (see ‘Books’).